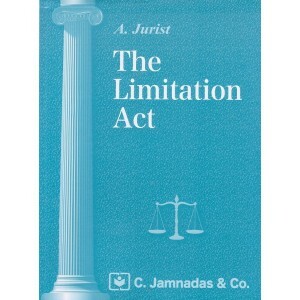 Jhabvala Book on Banking Laws For BSL & LL.B by H.D.Pithawalla -C.Jamanadas & Co. Please Note: Price of the book includes Delivery Charge Rs. 30.A basic introduction to the subjec..
Jhabvala Book on Consumer Protection Act for BSL & LL.B by H.D.Pithawalla - C.Jamnadas & Co. Please Note: Price of the book includes Delivery Charge Rs. 30.Consumer Protection Act : [Late.. Please Note: Price of the book includes Delivery Charge Rs. 30.Contents: Concept Of Crime..
Jhabvala Law Series - Interpretation of Statutes for BSL & LL.B by C.P. Veena - C. Jamnadas & Co. Please Note: Price of the book includes Delivery Charge Rs. 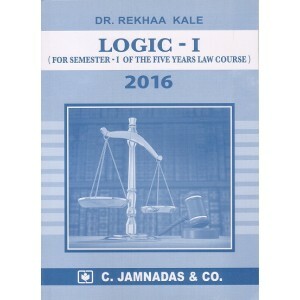 30.Table of Contents: Introdu..
Jhabvala Law Series - Labour Welfare Laws for BSL & LL.B by C. Veena for C.Jamnadas & Co.
Jhabvala Law Series : Legal Language, Legal Writing and General English for BSL & LL.B by H.D. 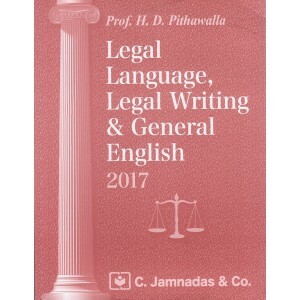 Pithawalla | C. Jamnadas & Co.
Jhabvala Law Series: Code of Criminal Procedure (CrPC) for B.S.L & LL.B by Noshirvan H. Jhabvala | C.Jamnadas & Co.
Jhabvala Law Series: Company Law For BSL & LL.B by H.D.Pithawalla - C.Jamnadas & Co. Please Note: Price of the book includes Delivery Charge Rs. 30.Contents: Introduction ..
Jhabvala Law Series: Indian Evidence Act by Noshirvan H. Jhabvala by C. Jamnadas & Co.
Jhabvala Law Series: Indian Trust Act, 1882 for BSL & LL.B by Taxpert - C. Jamnadas & Co. Please Note: Price of the book includes Delivery Charge Rs. 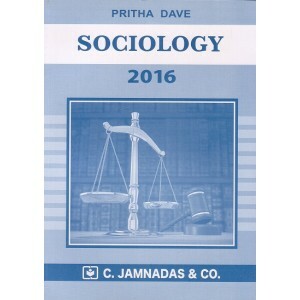 30.Contents: Preliminary T..
Jhabvala Law Series: Labour Laws by Caseman by C. Jamnadas & Co. Please Note: Price of the book includes Delivery Charge Rs. 30. A Lucid Commentary..
Jhabvala Law Series: Law of Marriage & Divorce Governing Christians & Parsis for BSL & LL.B by H.D. 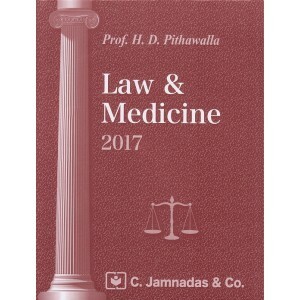 Pithavala - C. Jamnadas & Co. Please Note: Price of the book includes Delivery Charge Rs. 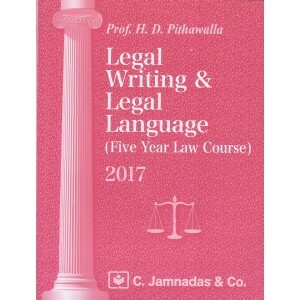 30.jhabvala's Law of Marriage & d..
Jhabvala Law Series: Legal Writing & Legal Language by Prof. H. D. Pithawalla For BSL & LL.B, C. Jamnadas and Co. Please Note: Price of the book includes Delivery Charge Rs. 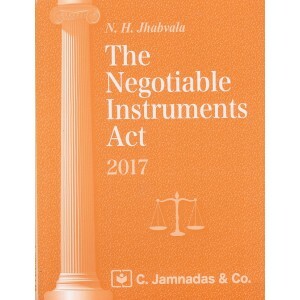 30.About the book: [Latest Edi..
Jhabvala Law Series: Limitation Act for BSL & LL.B by A. Jurist - C. Jamnadas & Co.
Jhabvala Law Series: Negotiable Instruments Act for BSL & LL.B by Noshirvan H. Jhabvala - C. Jamnadas & Co.
Jhabvala Law Series: Principles of Hindu Law for BSL & LL.B by Noshirvan H. Jhabvala - C. Jamnadas & Co. Please Note: Price of the book includes Delivery Charge Rs. 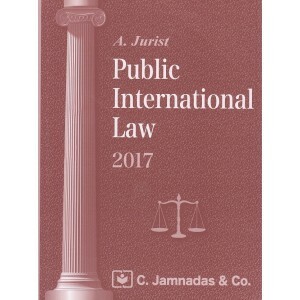 30.Contents: Part I : General ..
Jhabvala Law Series: Principles of Muhammadan Law for B.S.L & LL.B by Noshirvan H. Jhabvala - C. Jamnadas & Co.
Jhabvala Law Series: Private International Law (Conflict of Laws) by A. Jurist, C. Jamnadas & Co.
Jhabvala Law Series: Public International Law Notes for BSL & LL.B by C. Jamnadas & Co.
Jhabvala Law Series: Sale of Goods Act and Indian Partnership Act by Noshirvan H. Jhabvala - C. Jamnadas & Co.
Jhabvala Note's on Elements of Equity for B.S.L & LL.B by Noshirvan H. Jhabvala - C. Jamnadas & Co. Please Note: Price of the book includes Delivery Charge Rs. 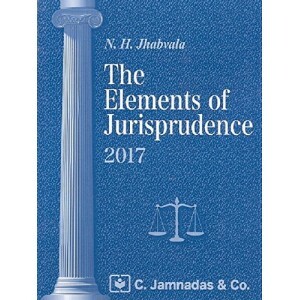 30.Contents: [Latest Edition] ..
Jhabvala Notes on Indian Easements Act For BSL & LL.B by Noshirvan H. Jhabvala - C.Jamnadas & Co. Please Note: Price of the book includes Delivery Charge Rs. 30.About the book: [Latest Edition] .. Please Note: Price of the book includes Delivery Charge Rs. 30.The Indian Penal Code (Act XLV Of ..
Jhabvala Notes on Indian Succession Act for BSL & LL.B by Noshirvan H. Jhabvala - C. Jamnadas & Co. Please Note: Price of the book includes Delivery Charge Rs. 30.This is a book on indian Successio.. Please Note: Price of the book includes Delivery Charge Rs. 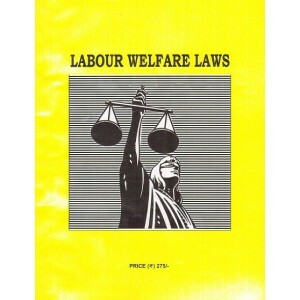 30.This book is a guide for Law stude..
Jhabvala Notes on Land Laws for BSL & LL.B by Prof. H.D. Pithawala - C. Jamnadas & Co. Please Note: Price of the book includes Delivery Charge Rs. 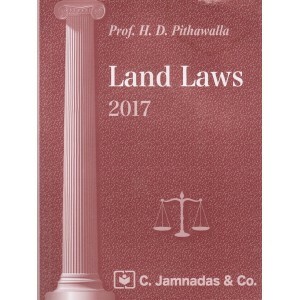 30.Jhabvala Law Series: Land Laws for..
Jhabvala Notes on Law of Arbitration and Conciliation for BSL & LL.B by C. P. Veena, C. Jamnadas & Co. Please Note: Price of the book includes Delivery Charge Rs. 30.Best Jhabvala Notes for BSL & ..
Jhabvala Series History Of Courts by H.D. 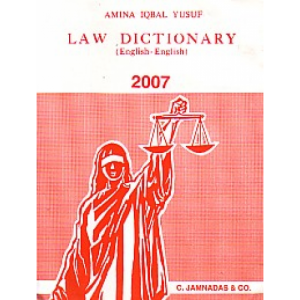 Pithawalla - C. Jamnadas & Co.
Jhabvala's Law Dictionary (English-English) by Amina Iqbal Yusuf , C. Jamnadas & Co. Please Note: Price of the book includes Delivery Charge Rs. 30.Law Dictionary (English to English..
Jhabvala's Laws Relating to the Welfare & Protection of Women & Children for BSL & LLB By Ashwin N. Karia | C. Jamnadas & Co.
Jhabvala's M.R.T.U. & P.U.L.P. 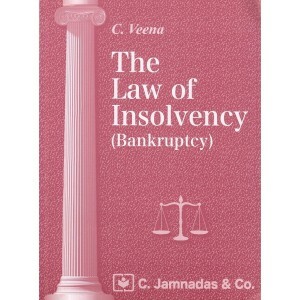 Act with Collective Bargaining [MRTU & PULP] by Prof. H. D. Pithawalla | C. Jamnadas & Co.
Jhabvala's The Law of Insolvency (Bankruptcy) by C. Veena | C. Jamnadas & Co.
Maharashtra CLET 2019 [Common Law Entrance Test] for 3 Year Course by Simran R. Gurnani, Rohan Thacker, Rajan Gurnani & Dr. Prabha Shah | C. Jamnadas & Co.
Maharashtra CLET 2019 [Common Law Entrance Test] for 5 Year Course by Simran R. Gurnani, Rohan Thacker, Rajan Gurnani & Dr. Prabha Shah | C. Jamnadas & Co. Transfer of Property Act For BA. LL.B by Noshirvan H. Jhabvala - C. Jamnadas & Company. Please Note: Price of the book includes Delivery Charge Rs. 30.The Transfer of Propert Act ..